A dress for the daydreamer, the Forever Lust delivers carefree lines with a feminine edge. 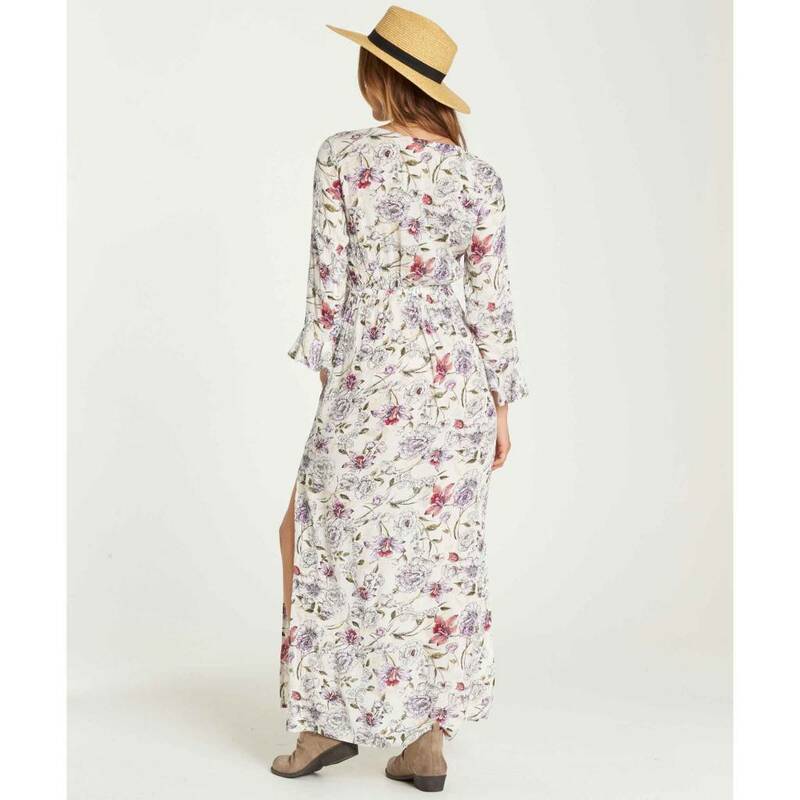 The 3/4 sleeve maxi dress highlights a sweet center front tie detail and floral print. 3/4 length sleeves with flutter detail at cuff. Slits at sides of skirt.